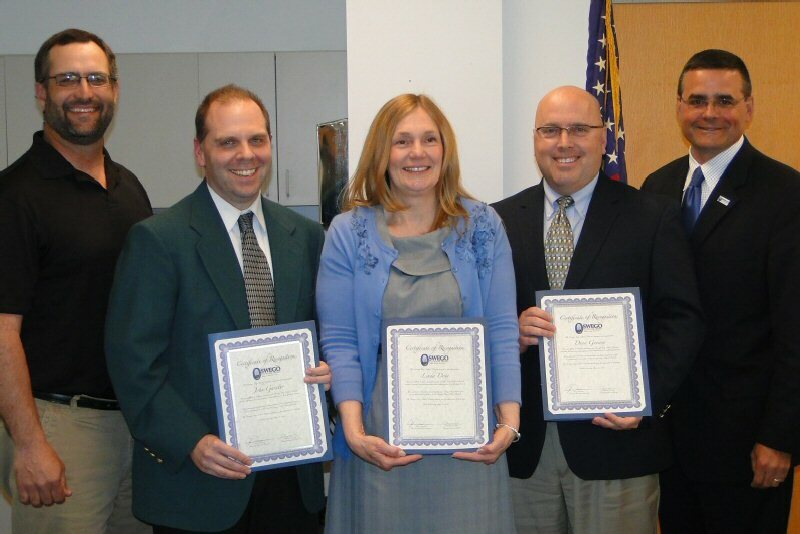 OSWEGO, NY – A half dozen Oswego City School District professional staff members were recognized by the Board of Education and Superintendent of Schools at Tuesday night’s meeting. The six have earned their doctorate degree and were cited for their dedication to be life-long learners. Joining John Garutto, Linda Doty and Dean Goewey are Board President John Dunsmoor (left) and Superintendent of Schools Bill Crist. 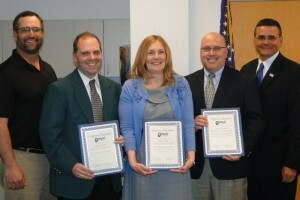 Unable to attend the ceremony were Heidi Sweeney, Carol Naron and Noel Kaplewicz.